What? Organised rides and events for the cycling community. More than 20 million French citizens own a bicycle, so it makes sense that once a year they should all get together and celebrate this cleanest, greenest and most virtuous mode of transport. The Fête du Vélo runs annually across France, bringing cyclists together for huge, free organised rides that celebrate both cycling and French landscapes. 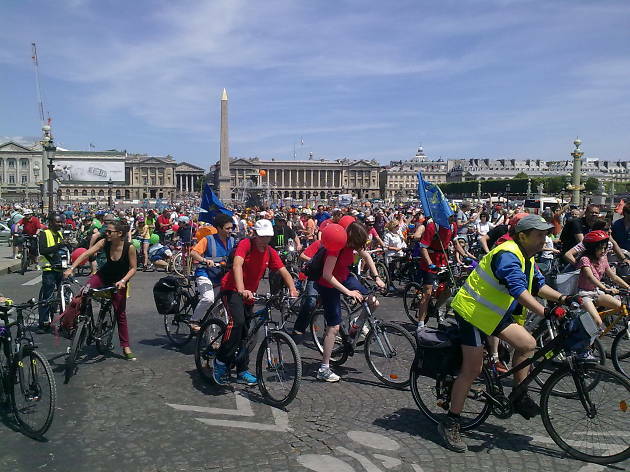 For bicycle lovers in Paris, Sunday 5 June is the big one, with 120 cycling associations (headed up by Mieux se Déplacer en Bicyclette) from the Ile-de-France region riding into the city to the final meeting point on the Place de Concorde. 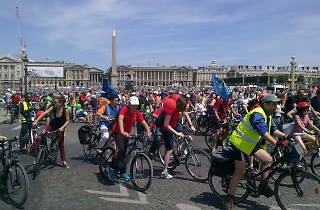 Then there's a giant parade through car-free streets, followed by a picnic on the grass at Invalides (at 1.30pm). You can find all the details in French here, which includes an interactive map of the route. It's hugely popular, so if you want to join in on a Vélib, you might want to plan ahead. For more information on the Fête du Vélo and to search events in your area, visit the Fête du Vélo website here (in French).